Multiple entry logic systems including RPN and Algebraic with Flexible / Intelligent editor. Flash memory for future electronics upgrades. Fast HP 49g+ ARM CPU. Build in USB connection and SD expandability. Powerful dynamic algebra and calculus solving system. Plus inferential and descriptive statistics. College and University students in engineering, surveying and mathematics. 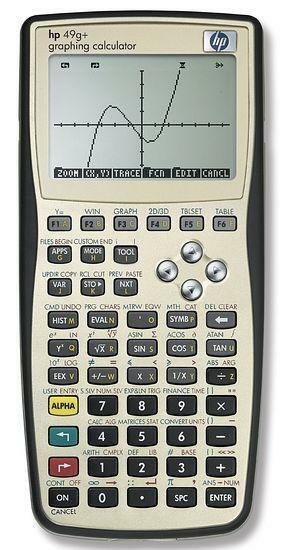 Tagged By: Using HP50g Calculator Connectivity Kit (CONNX4), HP 50g, (a) Cost Estimation with Linear Regression, HP MatrixWriter, HP EquationWriter, College Board AP, ETS - Education Testing Services, RPN Entry Mode, HP Solve.